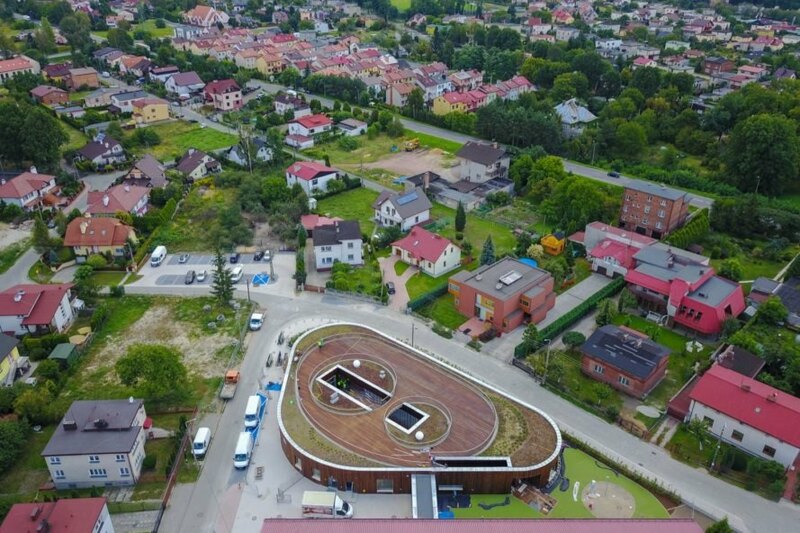 A recently completed kindergarten in Poland is giving children a new way to reconnect with the outdoors and stellar views of the neighborhood. 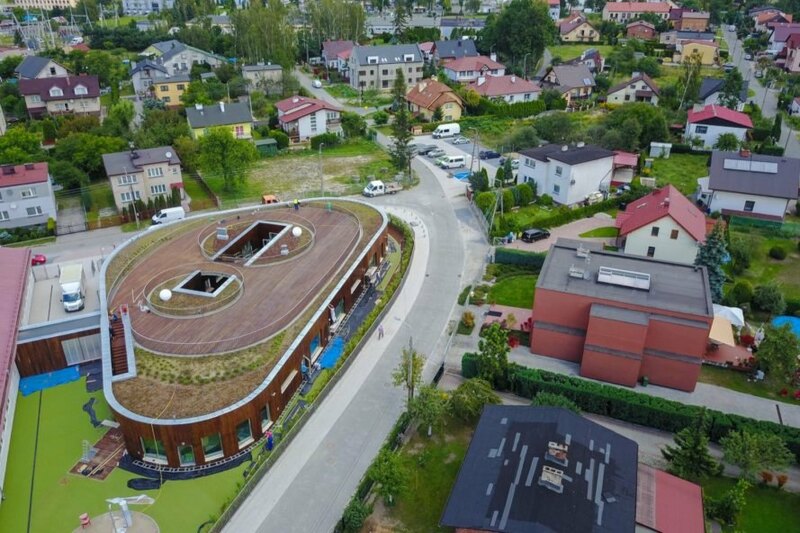 Designed by Polish architecture firm Biuro Toprojekt, the kindergarten in Żory boasts an accessible roof terrace planted with ornamental grasses with plenty of space to play and gather. In addition to encouraging play and appreciation of nature, the inspiring design of the building has also earned it a nomination for the European Union Prize for Contemporary Architecture – Mies van der Rohe Award 2019. 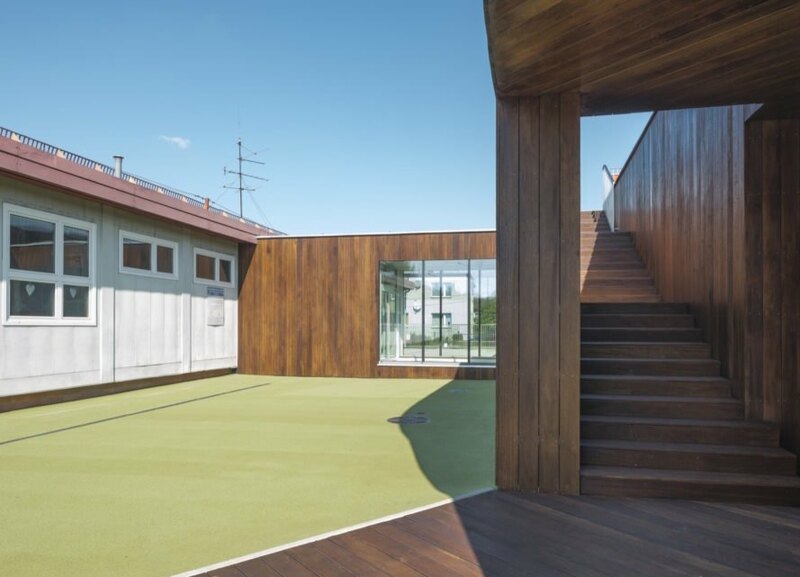 Built with reinforced concrete walls wrapped in vertical strips of timber, the 1,060-square-meter kindergarten is protected against temperature fluctuations thanks to mineral wool insulation selected for low fire risk. The school is also equipped with a ground heat exchanger as well as heating and ventilation systems. 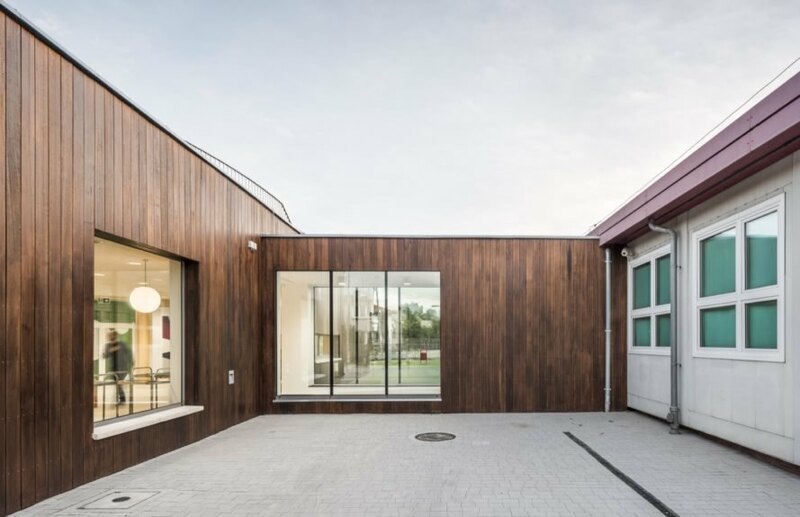 A rectangular atrium at the heart of the kindergarten funnels daylight throughout the interior and offers a “piece of the outside world” where children can observe snow and rainfall. Lined with wood and accessed via staircase from the atrium, the spacious roof terrace is punctuated with two circular islands of green space in the center. Curved metal railings wrap around the terrace, which is surrounded by gardens planted with ornamental grasses. 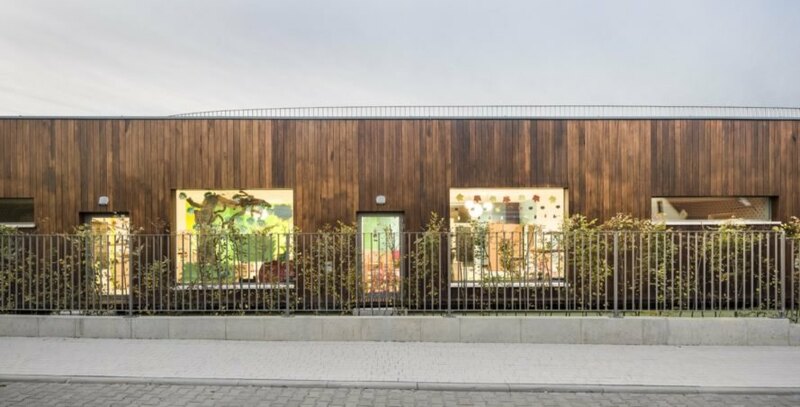 Biuro Toprojekt designed this innovative kindergarten in Żory. The school is designed to reconnect children to the outdoors. Skylights allow sunlight into the school, or students can enjoy views of rain or snow. 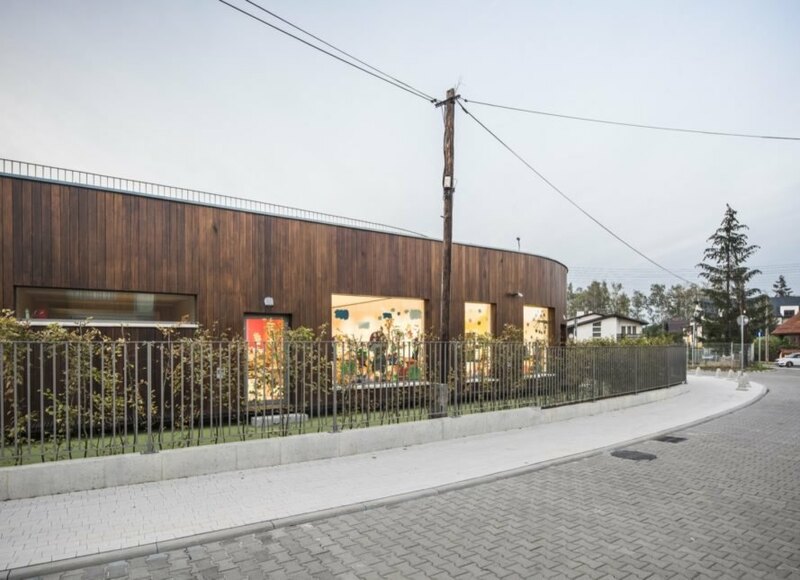 The kindergarten is constructed from concrete and timber. The unique, curved design helped the building make the most of the site. The school offers many connections to the outdoors throughout. Large windows allow natural light to brighten the interiors. Mineral wool insulation maintains a low fire risk and keeps indoor temperatures comfortable year-round. To keep the building from becoming overwhelming, the architects kept the project to one floor. A green roof planted with ornamental grasses invites the children to play. The project has been nominated for the European Union Prize for Contemporary Architecture – Mies van der Rohe Award 2019.